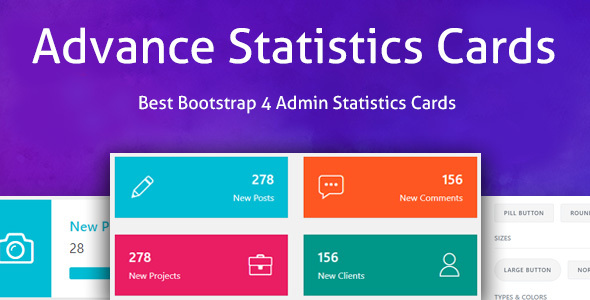 Advance statistics cards are made with Bootstrap 4, Retina ready, Crossbrowser supported and Responsive. More colors, more styles, 5 different shapes. All of them can be combined together! 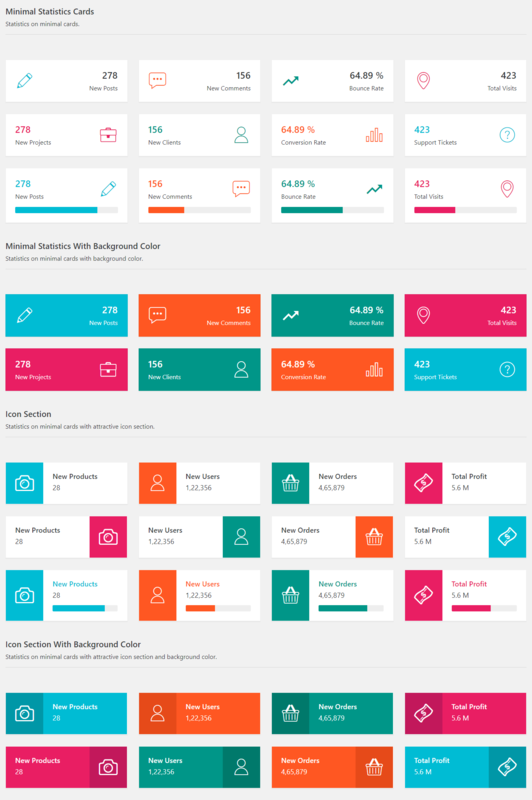 Well documented and super easy to customize!